Crab legs at a good restaurant are always expensive, but always enjoyable. Crab legs at a cheap restaurant are not usually expensive, but usually don't hit the spot. My husband doesn't like crab legs from any restaurants because they don't flavor them like he does. Making crab legs at home will certainly save you some money and give you the tastiest crab legs you've ever had. It also saves you from eating, cracking and slurping in public. 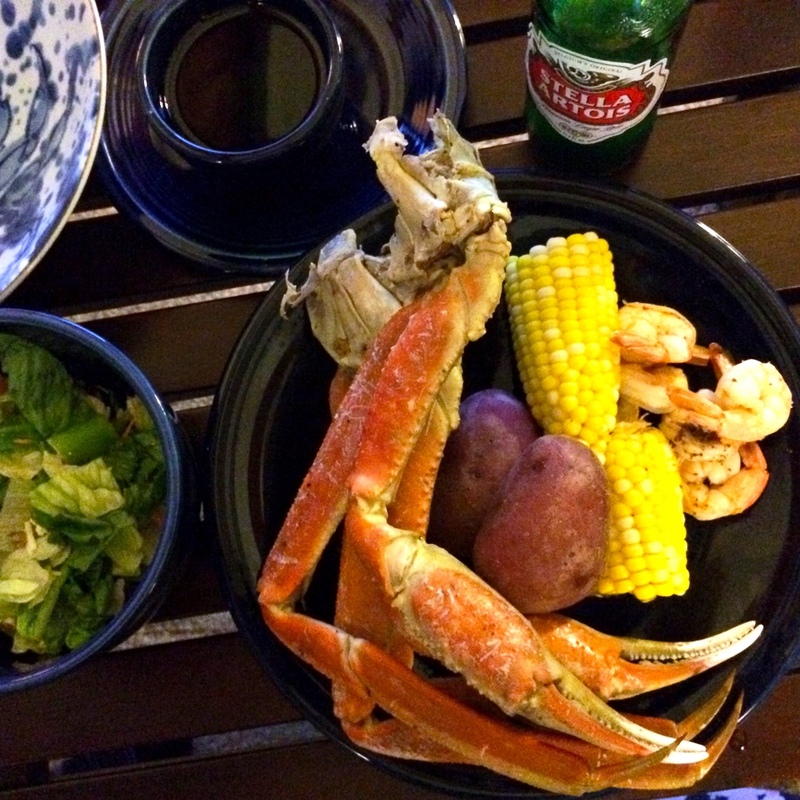 Here is my hubbys crab leg recipe. Fill a large pot with 5-6 quarts of water and beer. Bring to a boil over high heat and add the seasonings. Add the potatoes and cook for 8-10 minutes. Add the crab and corn. Return to a boil for 7 minutes. Add shrimp and boil for 5 minutes. Serve with the butter or ghee.